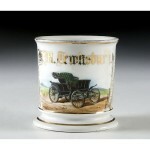 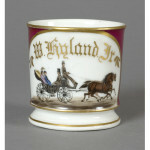 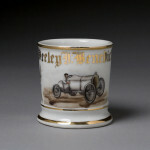 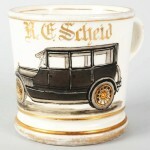 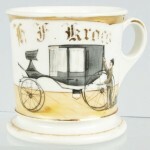 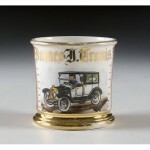 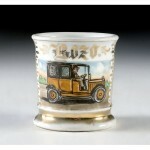 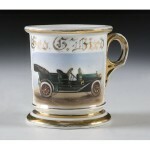 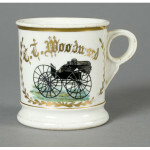 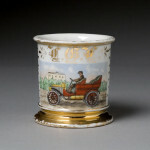 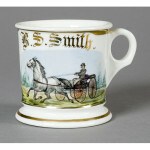 Automobile Mugs are among the most sought after mugs on the marketplace. 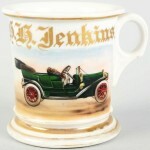 During the heyday of mugs, owning a car would have been a real status symbol and having the image of your beautiful vehicle sitting at the Barbershop really showed off that you’d made it. 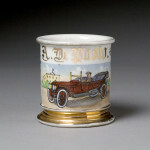 Others of these mugs are for Chauffeur’s, Taxi Services, or other people whose occupation would be based on using the vehicle.